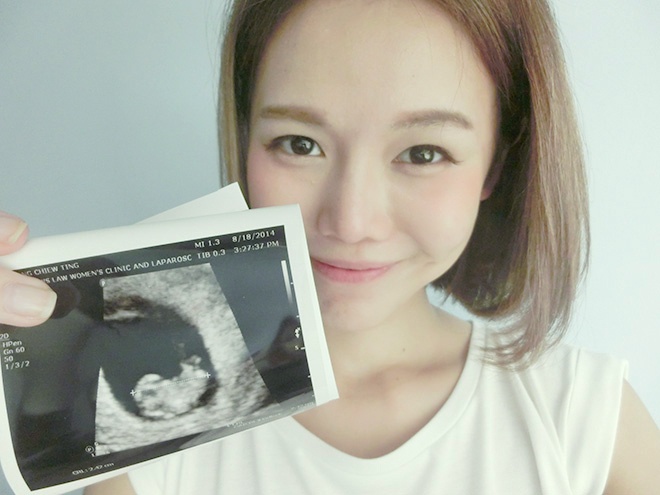 Blogger QiuQiu (and resident Budget Barbie on clicknetwork) announced her pregnancy on social media yesterday morning. She tells us about the long-awaited moment, potential baby names and how hard it was to keep it a secret for the first 3 months. 1. 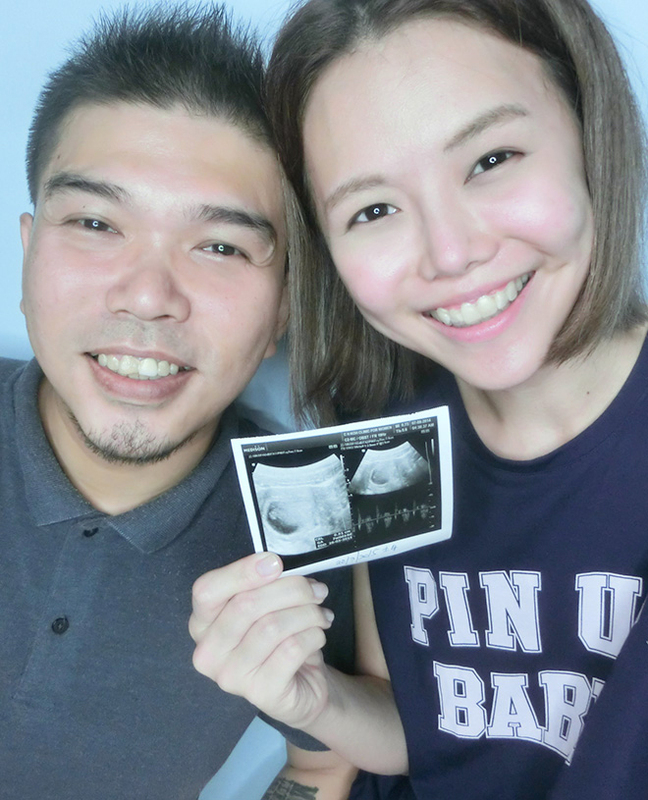 Congratulations on your pregnancy Qiu! How long have you been waiting for this? Thank you! I’ve been wanting a baby since about 5 years ago because I had been dating (my husband) Josh for about 4 years by then. He only wanted a baby after we got married about 3 years ago though. I tried so many weird methods to get pregnant – I saw a fortune teller and even got a geomancer to arrange and place items around our house for baby luck. 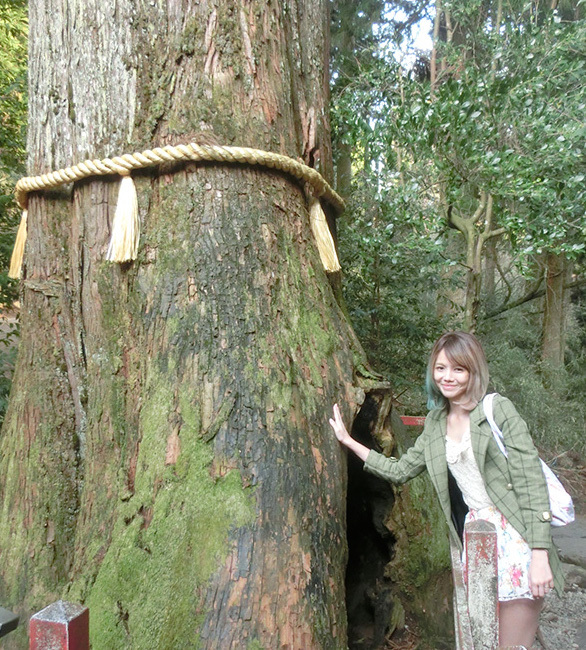 I also went to Hakone (in Japan) to touch a tree that is famous for baby luck. 2. What was the first thing that went through your head when you found out you were pregnant? IMPOSSIBLE. We had been trying for soooo long that I just gave up thinking about it a month ago. I even had a talk with Josh and we agreed not to go down the IVF road. We decided that we could just grow old by ourselves, go travelling when we’re old and just dote on the kids who are already in our lives. So erm…I peed on the stick and it gave me a vague answer (one strong line and one super faint line that made me kind of unsure). So I pulled my pants back on and carried on with my day. The pregnancy was only confirmed the next day, when I went to the hospital A&E because of food poisoning. The doctor was just like, “Oh, only one test came out positive…the pregnancy test.” So I called my dad and sisters and told my friends over Whatsapp! 4. Any names in mind? I’ve always wanted to name my daughter Eliza or Beth! But Josh doesn’t like either name, so we are considering a few other options. Josh likes the name Meredith because he’s a fan of Grey’s Anatomy. 5. How tough was it to keep it a secret for the first few months? Did any of your friends or readers suspect anything? It was hard keeping it a secret for the first 3 months! I kept a baby diary but I couldn’t share it with my readers/followers, so I didn’t have much to share about my life for 3 months haha. Once, I posted a midnight “I’m hungry” tweet and an OOTD with a loose and comfy dress…and some people commented to ask if I was pregnant! -___- I had to keep deleting the comments! 6. How has the pregnancy been so far? Have you had any morning sickness, weight gain or breakouts? No morning sickness at all…but touch wood! I don’t want to jinx it. Weight gain…unfortunately, yes. Even though my baby is only 3 months, I’ve gained a total of 5kg. I’ve also had really bad breakouts! Like when one pimple heals, another pops out. Never ending one. I’m also SUPER DUPER BLOATED all the time. I’ve been eating a lot because I get hungry like, every 3 hours. I also sleep a lot. I feel like a bear in hibernation. 7. Is the pregnancy everything you expected so far, or has it been easier/harder? It’s easier in the sense that I haven’t had morning sickness. I thought I would have morning sickness during the first 3 months, but so far not a single time! It’s harder in the sense that I’m uncomfortable almost 24/7. I’m constantly tired and bloated…totally no mood to work at all. There’s a lot of time I spend in bed, and recently I’ve been reading online about what to get my baby. There’s some online guides from sites like HMHB showing you how to find the perfect baby bottle and best crib mattress, which is really helpful for a first time mother. While it’s been difficult, the support from online communities and guides of other women who have went through the same thing I have and share their experiences really makes me feel more at peace. 8. Any changes in food preferences? I used to love cheese a lot. Now it just turns me off…except maybe the cheese sauce from KFC because that’s a little spicy. I LOVE LOVE LOVE spicy food now! Also, I used to hate sour drinks, but now I kind of like them! 9. 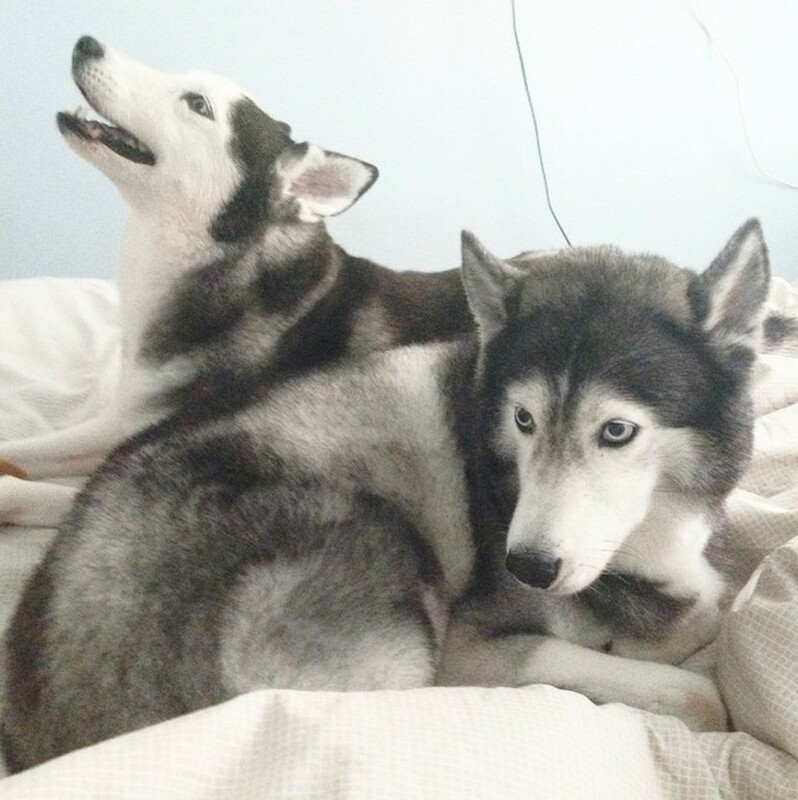 How do you think your dogs Tiffany and Drago will react to having a new baby in the house? I think they’ll probably sniff her on her first day home. After that, they probably won’t care much haha. 10. Out of all the blogger babies – Junya, Dash, Fighter – who do you think your baby will get along best with? I think maybe none haha! Because I strongly believe that I will have a baby girl…so how is she going to be BFFs with any of the 3 cute baby boys?? 11. If you had to do a Budget Baby episode for your show on clicknetwork, where would you go to for the best bargains on baby stuff? 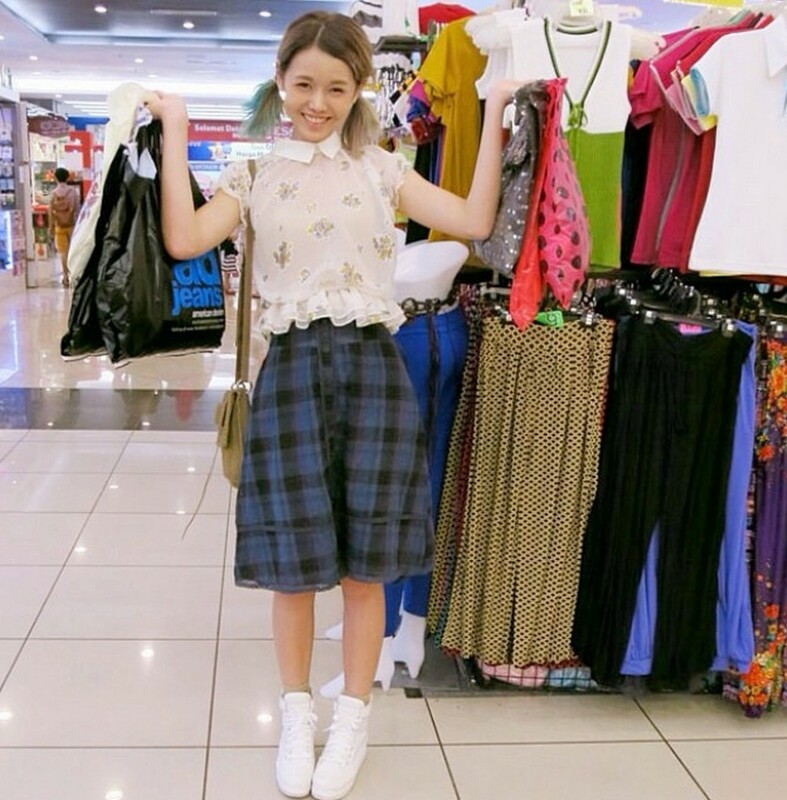 EVERYTHING I GO MALAYSIA AND BUY! But I don’t think I’d be budget with my baby lah. I’ll probably go to the usual places like Mothercare, Cotton On and H&M. 12. Do you think being a mom will make you feel too old to be shopping for cutesy teenage girl stuff on Budget Barbie? Don’t say become a mother then paiseh (translation: embarrassed) lah… I’m already kind of paiseh to be shopping for cutesy stuff! But I had a meeting with the clicknetwork producers and we’ll be doing some different stuff on Budget Barbie, so that’s something to watch out for. 13. What do you hope your baby will grow up to be? A SINGER! So she can help me fulfill my lifelong dream of being one. 14. In what ways do you think your life will change? My life will probably be more chaotic, but definitely more colourful and fulfilling. We might need to shift to a bigger place though, so that we have more space for both our baby and doggies. Also, I think I’ll also be more bochup (translation: can’t be bothered) about social media gossip/news after I become a mother haha. 15. Do you plan on having more children in the future? If this baby really is a girl, I’ll stop. But if I have a boy this time, I’ll try again! 16. Best things about being pregnant? The best thing is that Josh has become even sweeter! He’s usually very caring, but after I got pregnant, he’s been taking such good care of me. To the point where I probably wouldn’t be able to care for myself any better. He also doesn’t let me do any housework. Shiok sia! My family has also been super involved and considerate about my pregnancy. I see them every weekend and they always prepare tonic soup for me! 17. Worst things about being pregnant? Just the whole dead weight feeling. I finally know how fat people feel…tired all day long haha. 18. Is there anything you want to say to your baby when he/she reads this in the future? Baby, if you’re not a girl…I accept your apology. Haha just kidding. Mummy and Daddy love you, and I hope you know this for the rest of your life. You’re a baby that came into this world with many good people waiting to hold you. Mummy and Daddy will always try to be better than our best for you. Please grow up to be a kind person – that will be good enough us. 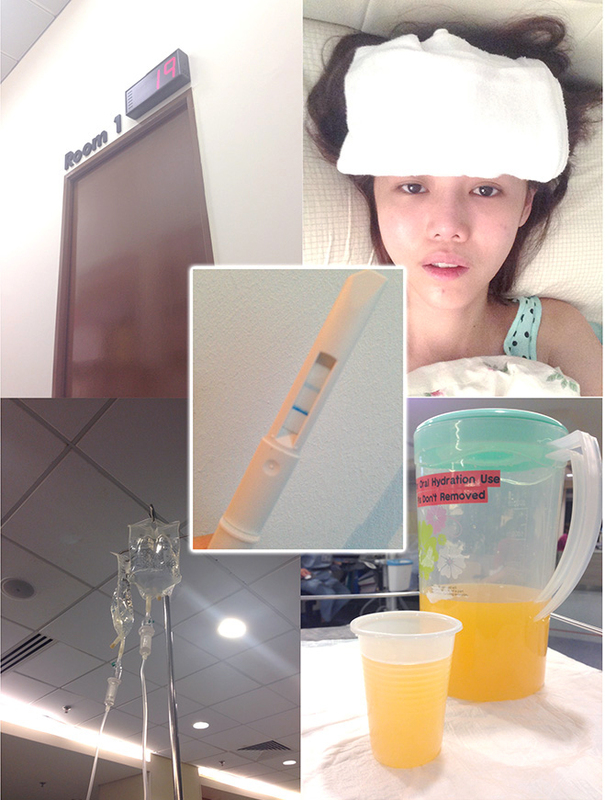 For more on QiuQiu’s pregnancy, check out her blog or follow her on Instagram and Twitter.